Rowman & Littlefield Publishers, 9781538108062, 216pp. High school sports programs are not simply one-dimensional after-school recreational diversions from the rigors of academic life. In The Other Classroom: The Essential Importance of High School Athletics, Michael J. Coffino showcases how high school athletics have a positive influence on the student athletes beyond just the sports experience itself. He argues that the lessons learned, tools acquired, and values instilled have an enduring impact that prepare young athletes for the many challenges they will face in life. Coffino reveals how a well-considered, value-based athletic program effectively works alongside the standard educational curriculum to teach athletes a wide range of beneficial behaviors--including self-advocacy, goal-setting, leadership, conflict resolution, and more. 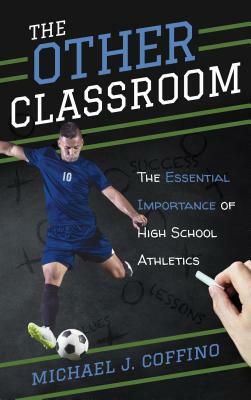 Drawing on extensive research, illuminating anecdotes, heartfelt commentary from original interviews, and Coffino's personal coaching experience, The Other Classroom issues a passionate challenge to school administrators, coaches, athletic directors, parents, and local communities to bring greater focus on how their high school programs consider the long-term well-being of student athletes. It urges schools to emphasize the importance of preparing student athletes to flourish as adults in whatever they pursue once their formal education is complete.